Finding a community near Richmond that provides its residents with beautiful surroundings, large home sites, the ability to build lakefront and golf course homes with access to one of the premier golf clubs in the area and numerous amenities to enjoy is a rare feat indeed. Custom built homes and available home sites adorn Lake Chesdin Golf Course. You can build homes from 2900 square feet to 4,000+ square feet right on home sites that have views of the best greens in central Virginia. Lake Chesdin Golf Course is considered one of the premier courses in and around Richmond, offering rolling terrain and changing elevation, thereby providing a challenge to all players. Additionally, the course is well suited for both beginners and experts. 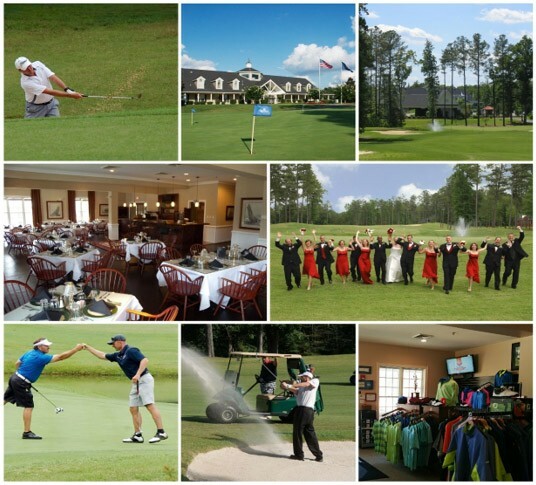 The hub of our community and always an exciting place to be is the Lake Chesdin Golfers Clubhouse. Residents and members enjoy their 20,000 square foot clubhouse housing The Chesdin Grille, The Pro Shop and our newest addition of the Lake Chesdin Golf Course, two state of the art golf simulator rooms that can be used by golf members. Play 18 holes or practice your chip shots, the simulators is a fantastic addition for our golf members! The simulator room has two flat screen tvs, bluetooth music speaker and two high top tables with four chairs each for you comfort and enjoyment. Lake Chesdin Golf Pro, Tim White, brings with him the highest level of customer service that he has learned over the years by working with some of the best PGA Professionals in the country. He enjoys working with all levels of golfers in private or group settings but specializes in making the game fun for the new players. From beginner to expert, he welcomes everyone with the love of the game to come and enjoy Lake Chesdin Golf Club. We also offer our facility for weddings and family events. From Member Guest to beautiful unforgettable weddings, making memories for everyone. Our dining room, bar and outside covered pavilion area can accommodate all your needs. We can provide all catering services to complete your events. For more information on our 18-hole championship golf course please visit Lake Chesdin Golf Course or call 804-590-0031. Chesdin Landing offers homeowners all of these perks and much more. Check out our amenities page for all that Chesdin Landing offers to our homeowners.